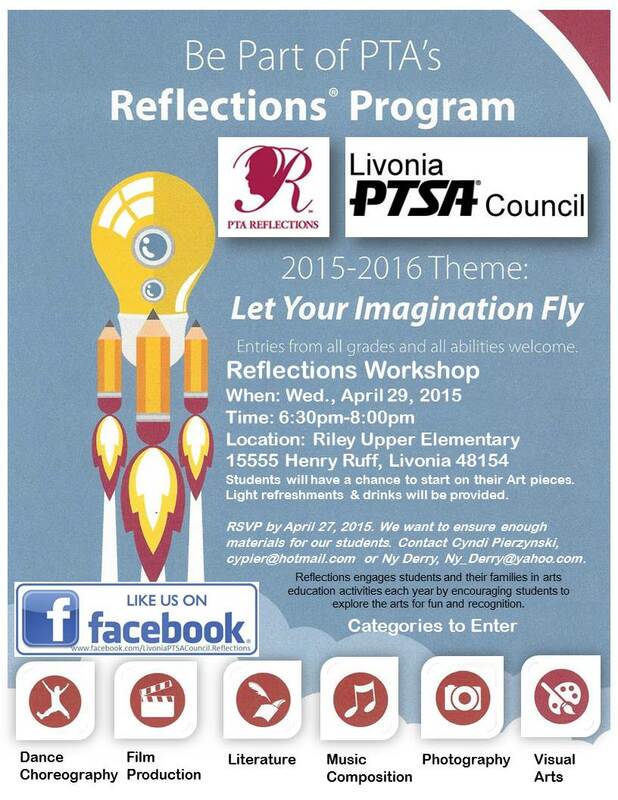 Plan to join the Livonia PTSA Council for a Reflections workshop! Next year’s theme is ‘Let your imagination fly…’ You can get started on your project now! Let us help you! Please R.S.V.P so that Cyndi and Ny have materials reserved for you! Enter your email address to follow this website and receive notifications of news by email. If you experience any issues with this website or have suggestions on how we can improve your experience, please email the webmaster. Thank you.